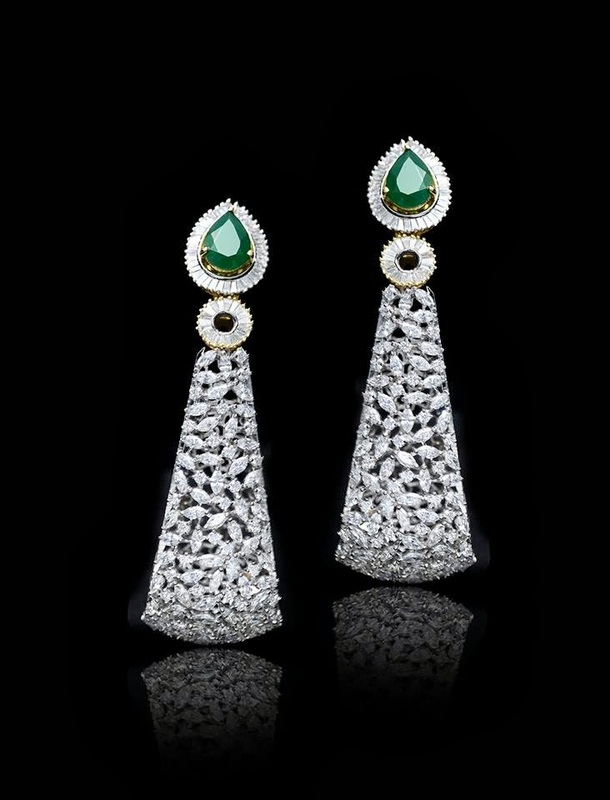 Gorgeous earrings studded with diamonds and emeralds. 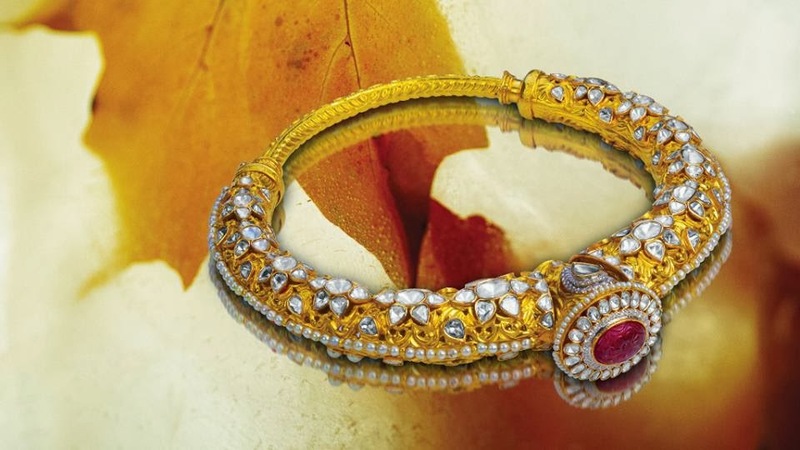 Stunning kada studded with kundans, ruby and pearls. 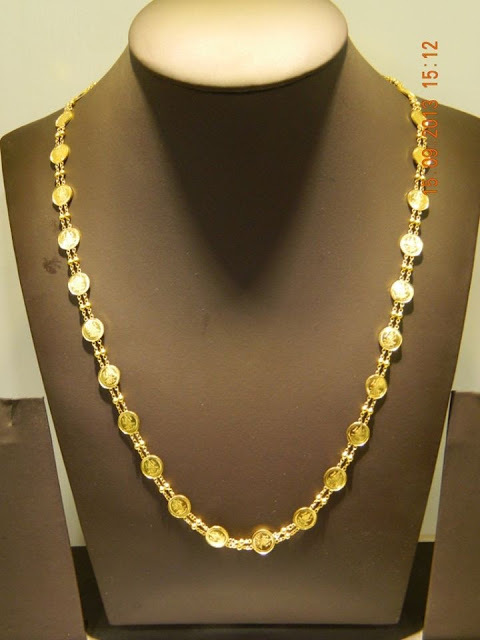 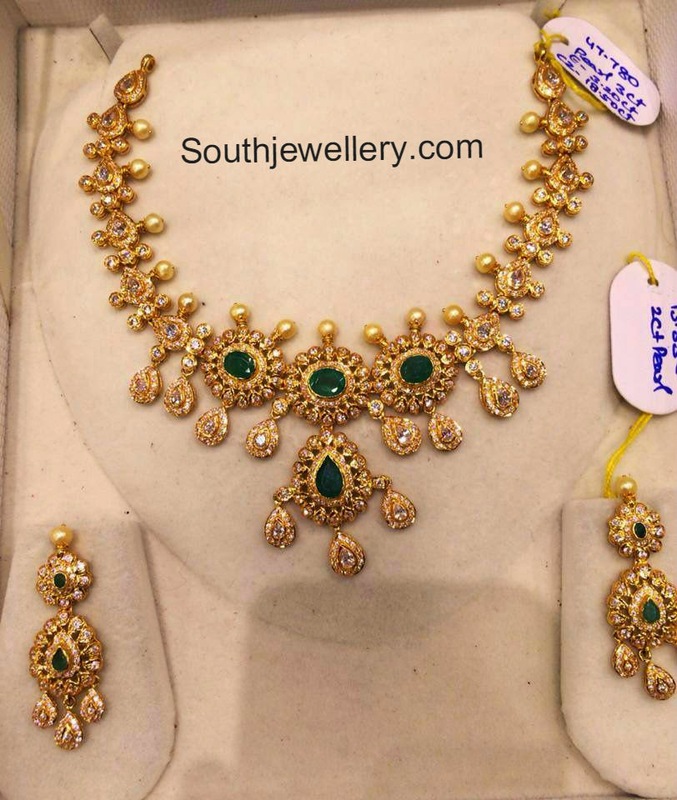 22 carat gold light weight long Lakshmi kasu chain. 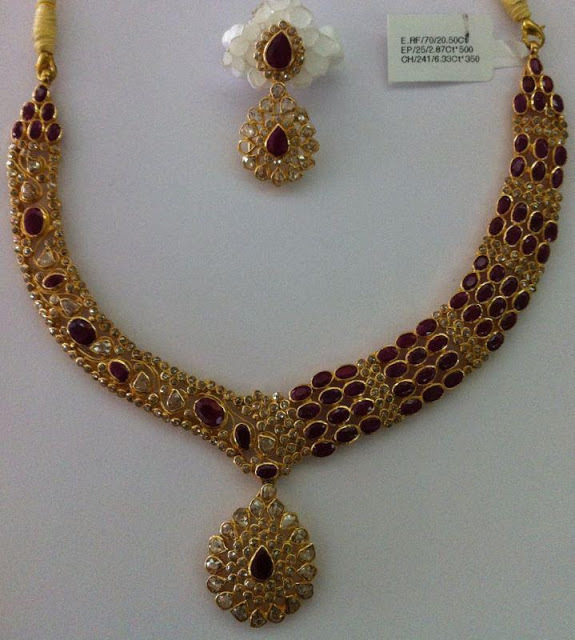 22 carat gold uncut chakri diamond necklace studded with rubies, paired up with matching earrings. 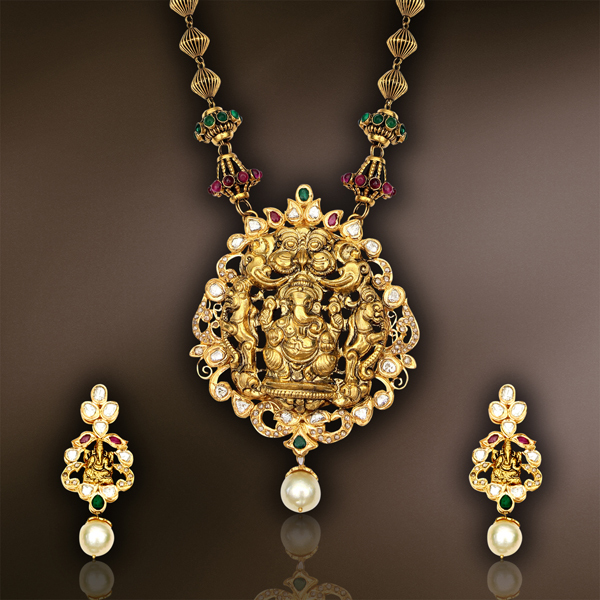 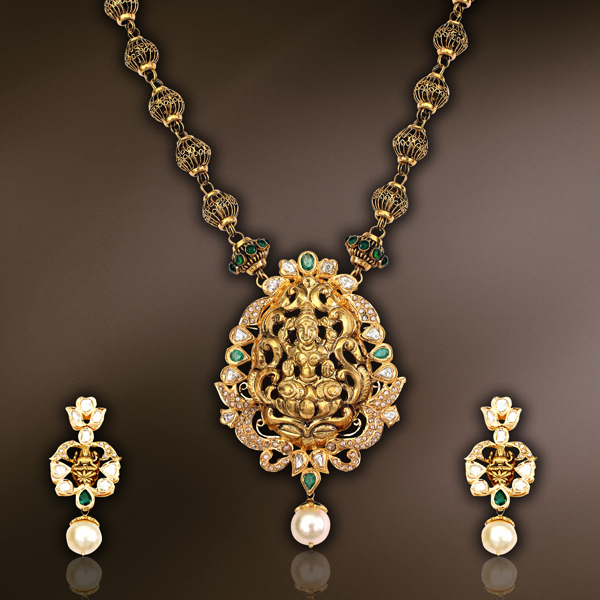 Antique finish temple necklace designs studded with uncut diamonds with attached Ganesh and Lakshmi pendants. 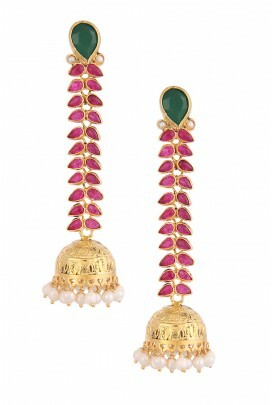 Faceted pear shaped red and green onyx set in gold plated silver. 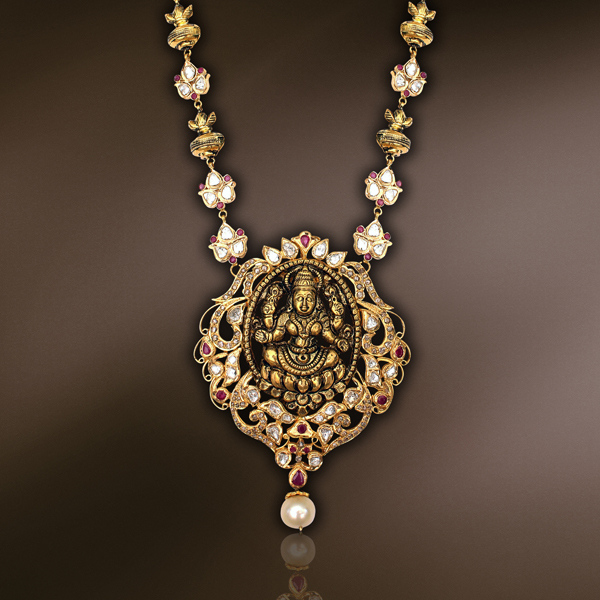 Engraved jhumki pendant embellished with pearl beads.